Tents Online Supplies Alpine Marquee Tents from 20m x 20m, 20m x 50m, 30m x 30m to 30m x 50m. For Bedouin Tents from 9m x 30m, 5m x 10m to 7m x 12m. For Frame Tents starts from 10m x 20m, 12m x 30m, 15m x 30m, 18m x 30m, 20m x 30m, 20m x 50m, 30m x 30m, 5m x 5m, 9m x 15m to 9m x 27m. For Peg and Pole Tent starts from 30m x 50m, 30m x 50m, 10m x 10m, 9m x 18m, 12m x 30m, 15m x 24m, 15m x 30m, 15m x 33m, 5m x 10m, 5m x 5m, 7m x 12m, 9m x 12m, 9m x 15m, 9m x 18m, 9m x 21m, 9m x 24m, 9m x 27m to 9m x 30m. Stretch Tent starts from 10m x 10m, 10m x 20m, 12m x30m, 15m x 30m, 30m x 30m, 5m x 10m, 7m x 12m, 9m x 15m, 9m x 18m, 20m x 30m to 9m x 30m. Pagoda Tents starts with 3m x 3m, 5m x 5m to 10m x 10m. Canvas Tent Hip Roof from 5m x 5m to 5m x 10m, Army Military Tent starts from 5m x 5m to 5m x 10m. We also make customized tents as per the client requirement. As we are event solution partner we also provide Plastic Folding Table, Mobile Chiller, Mobile Chiller Double Axle, Mobile Freezer, Plastic Round Table, Portable Toilet ( Flush-able / Non Flush-able ), VIP Portable Toilet ( Double Trailer ), Round Table Cloth, Round Table, Steel Folding Table, Tiffany Chair available in ( Clear Resin, Silver, White ), White Chair Cover, White Plastic Chair, Black Plastic Chair, Ghost Chair, Phoenix Chair, Wimbledon Chair and Bride & Groom Chairs ( Pair ). Tents online is a eCommerce store for all your wedding, party, function, Event & Exhibition Needs. These products can be used in church function, wedding, Party, Event & Exhibition. We have secured a strong client database, from small to medium enterprises to large corporate companies, and our consideration to detail and hands on organization has ensured that our client database continues to grow. Our decision is to sell high volumes at a lower margin allows us to pass on some very clear pricing benefits to our customers. The expertise and knowledge of our team also helps us to understand and meet client’s requirements within short lead times. Further, it also helps us to develop designs as per client’s specifications as well as introduce new design features and structural changes so as to offer better comfort levels to our customers. We take great superiority in our study and improvement which has led to many good products which continue to accomplish and exceed hopes long after others have fallen by the wayside. Tents online Store Provide tents with seating capacity which starts from 50 seater, 70 seater, 80 seater, 100 seater, 150 seater, 200 seater, 260 Seater, 300 seater, 180 seater, 400 Seater, 495 seater, 500 seater, 700 Seater, 800 Seater, 1180 Seater, 1200 Seater, 2000 Seater, 1800 Seater, 3000 Seater to 6000 Seater. We provide large tent structure under Aluminium Frame tents. 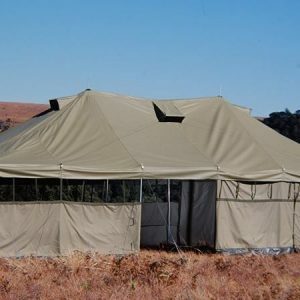 We supply tents in South Africa to Durban, Johannesburg, East London, Cape Town, Bloemfontein, Pretoria, Gauteng, KwaZulu-Natal, Limpopo, Mpumalanga, Northern Cape, Western Cape, Pietermaritzburg, Polokwane and Port Elizabeth. And to African countries like South Africa, Algeria, Angola, Benin, Botswana, Burkina, Burundi, Cameroon, Cape, Central, Chad, Comoros, Democratic, Republic, Djibouti, Egypt, Equatorial, Eritrea, Ethiopia, Gabon, Gambia, Ghana, Guinea, Ivory, Kenya, Lesotho, Liberia, Libya, Madagascar, Malawi, Mali, Mauritania, Mauritius, Morocco, Mozambique, Namibia, Niger, Nigeria, Rwanda, Senegal, Seychelles, Sierra, Sudan, Swaziland, Tanzania, Togo, Tunisia, Zambia, Zimbabwe. Are you looking for Affordable, Custom Built Tents from the reliable Manufacturer in Durban or in surrounding areas ? No one can compete with our quality low prices in South Africa due to our high quality craftsmanship and machinery that affords us to sell. You can buy Tents, Plastic Tables, Plastic Chairs, Portable Toilets & Mobile Chillers for Parties, Weddings, Events, Live Shows, Sporting Events, Funerals, Traditional Rituals, Our Tents are made up of Waterproof PVC material, Available in a variety of colors or 2 color stripes of your choice. We supply tents in India, South Africa, Nigeria, Lesotho, Mozambique, Kenya, Botswana, Zambia, Liberia, Libya, Madagascar, Malawi, Mali, Mauritania, Mauritius, Morocco, Zimbabwe, Angola, Swaziland, Namibia, Algeria, Angola, Benin, Botswana, Burkina, Burundi, Cameroon. Get FREE QUOTATION, TENTS PRICE LIST, TENTS BROCHURE and TENTS CATALOGS. Buy Product at Factory Price and on Discounted Rates. For any type of help or inquiry please do get in touch with us.